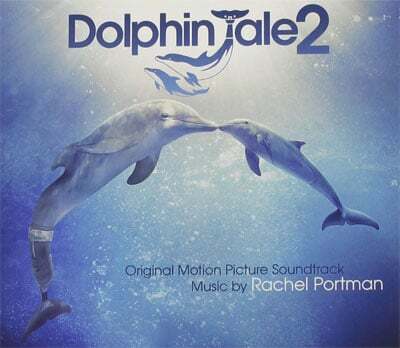 I have no idea what Dolphin Tale 2 is but when a composer (Rachel Portman) I like does the score, I’ll check it out anyway. Just because I might not enjoy the movie doesn’t mean the music is bad. The movie is about a family that saved a dolphin in the last movie and they’re at it again this movie. Oh the hijinx! It stars Harry Connick, Jr., Ashley Judd, Morgan Freeman and some others. I’m assuming some dolphins are in this as well. Rachel Portman has done a few scores that I enjoy like Chocolat, Emma, Cider House Rules, Hart’s War and The Duchess. Her latest score for Dolphin Tale is a light score and playful for the most part. I like these types of film scores since they are more than just background noise. The first two tracks “Reconciliation Ballet” and “Mandy’s Release” are my favorites on the album, simply because they are pleasant to listen to. Some strings and sweeping orchestral music to set the mood right. The next couple of tracks are some dramatic cues. Since I haven’t seen the movie, I can only guess what some of these tracks are meant for. I have a feeling the majority of the tracks I do like have the dolphins in them. You can just tell. The overall score is pretty good and not at all bad. There’s a lot of nice tracks but there aren’t any tracks that are memorable in a way.